It’s been a year and a half since I last updated this blog. I got a new job and started working full time. I still am developing myself in a more creative direction but at nowhere near the pace or direction that I was when I started this blog. I do still want to log and track my progress somewhere so I’m picking this back up. So I’m going to redirect the blog in a few ways to reflect my personal changes. I’m going to tone down the direct discussion of self-education. I’m going to spend a lot more time on 3D art. Since I last updated I started playing D&D. That came out of left field, I know. I’m the dungeon master and I spend a lot of time preparing for sessions. I also started spending a lot of time making terrain props and painting miniatures. I find this really satisfying. When I left off I also was just starting to dive into 3D art. I spent some time with it since then, dropped it for a while, and am now picking it back up as where I want to try to take my career. I think it could blend my interest in visual art with my technical capabilities nicely and I’ve found making 3D scenes, by way of D&D props, to be really fun. This blog will probably take a strong focus on art related to games and movies, as a result. We’ll just see where it goes. This week I crossed a pretty big milestone. I've now done over 1000 drawings and paintings. Every week I take photos of everything I've drawn. I started doing this from the beginning of my learning effort just over 4 months ago. You can see them here. I'm a huge advocate for self-education. I believe almost anyone can learn to do almost anything as long as they put in the time and effort. I believe that's what holds people back more than something like talent. It's easy to blame external factors like bad teachers, lack of time, and lack of talent for why you aren't learning. Using those excuses creates a sort of self-fulfilling prophecy. If you aren't getting what you need from the teacher or resource you're using, find a different one. If you don't have the time, make the time. Talent is almost always an insidious myth. With that mindset, I decided to teach myself to draw. It's something I always wanted to learn but had put it off for various reasons. I decided to document the journey to prove that anyone can do it. There was no way for me to be certain I could draw up front. I had basically no experience going in. I started with typical fears about lack of talent and time. I just decided to push through and create the time by giving up video games and TV almost completely. At this point I feel confident enough to say that I have learned to draw. My effort going forward is just me getting better. With that experience I also feel even more confident saying that anyone can learn to draw or paint. You just have to make the sacrifices and effort necessary to make it happen. Do it every day. The strongest habits are daily habits. Also, drawing or painting daily gives you a constant stream of experience to build off. Mix things up. Your knowledge and skill is built on mental models that approximate reality. Approaching a subject like drawing from multiples angles gives you a stronger overall understanding. For example, I might do figure drawing, then some perspective drawing, then some doodles. Write and talk about it. Your brain is forgetful by design. The more you access your knowledge and the deeper that access is the stronger your knowledge gets. This is part of why I have a blog and YouTube channel about drawing. Connect it. Connect your subject to other subjects (e.g. drawing and photography, writing and cinematography). This helps you put your learning in context and lets you explore opportunities. Expand your learning. Seek out experts and learn from them. Buy books on the drawing and painting. Watch YouTube videos. Take some courses. Reflect on it. Find some time to reflect and think about your drawings. Think about techniques, inspiration, ideas, goals, etc. I generally reflect in my morning shower and when doing less active drawing like doodling. Save observations. Again, the brain is very forgetful. I forget what I was doing 5 minutes ago more than I care to admit. If you have an interesting idea, write it down or sketch it out. Take breaks and leave work unfinished. Your brain likes to crack a problem. It does a lot of work without you being concious of it. By letting it work on a problem in the background you may find your thoughts are stronger when you come back to your work. If you're struggling with something, don't be afraid to come back to it later. Identify and face fears. Your fears tend to come from lack of skill or knowledge. By facing them directly you’re often facing gaps in your development that you might not have been aware of. Do reality checks and get feedback. It’s easy to end up off-course. Find ways to check your progress. Ask for feedback. Put your work on the internet and see what people think. Pay for this if you have to because it’s very important. There is one final thing I realized while reflecting on my recent drawings. I've noticed that as I draw more and have to worry less about technique I find my mind wandering more and more as I draw. This is a component of my improvement that I didn't expect. I find myself imagining elements and details in the scenes for my drawings. For example villages on a mountainside or the way a creature might behave. By doing that I feel I'm able to convey more life into the drawing than I otherwise would have. I hope this inspires you to get started and helps you on your journey. Why the FujiFilm X-T2 isn't a good YouTube camera. The X-T2 is one of the best photography cameras I've ever owned. It's exquisitely designed for photographers. I have no complaints about this camera as a photography camera. With this model FujiFilm introduced 4k video recording. The camera was hyped for it's 4k video capabilities and they are stellar. My problem with the X-T2 as a video camera stems from simple usability issues for individual video creators like myself. The most glaring issue is that if you have to record shots alone where you are talking to the camera, there is no feedback available to you. There is no recording indicator light. There is no way to turn the partially mobile rear viewfinder around. These are two common features on modern cameras. It boggles my mind that FujiFilm neglected to include them. I would have gladly accepted more weight or cost for the camera to have those features. These issues are bad enough but are compounded by technical issues with the camera, especially when using the hand grip. You can deal with these limitations, framing shots carefully and then sitting in front of the camera. Though it's very hard to be certain you're in focus. The X-T2 has a 15 minute time limit on 4k recording. And 4k recording chews through battery so you'll want to get the hand grip to bump the 4k limit up to 30 minutes and add two additional batteries. The problem myself and a lot of others are having is that, at least with the hand grip, the camera seems to stop recording randomly. For the most part this happens when a battery runs out and the camera moves on to the next one. With the usability issues it's very easy to end up in a situation where you're talking to a camera that isn't recording. It's happened to me more than enough times. You can get external recorders and monitors but something decent that records in 4k will cost you at least another $1000. Plus, for vloggers, that would make a very bulky camera rig. Overall, I'd recommend looking elsewhere if you want a camera for making YouTube videos. Your brain learns by mixing things up. Your knowledge is based more on comparison and contrast then hard factual data like a computer. So to really learn you need to come at things from different angles. Your brain stores knowledge in what some call a mental model. These models are just approximations of reality. The more information the brain gets about reality the better they get. Mental models are molded by experience and analysis. These models are complex and interconnected. So, giving your brain access to a breadth of experience will help you build better models across the board. Mental models are often wrong and improving them is a major part of learning. I like to think of these models as lenses through which we see the world. You never directly see the world; you only see it through lenses which are inherently imperfect. Those lenses can be improved through testing and iteration. Mixing things up lets you test your mental models under different conditions. Varying the ways you go about creating art (or anything really) lets you test your knowledge and skill. When you fail to meet your expectations or just get an outcome you aren't happy with your brain learns there is a problem. It'll go about trying to fix that problem. Mixing things up makes new problems more likely to emerge. Sometimes they're glaring and will directly inform your future study. For example you might realize you need to study perspective or composition. Sometimes it doesn't feel like you're learning but every failed attempt teaches you something even if you're not conscious of it. And, for complex skills like painting and drawing, every attempt fails in some way. Super Spirograph Design Set review and lessons learned. A while back I bought a Super Spirograph Design Set and just left it under my desk. My goal was to have something I could do whenever I just couldn’t find anything I wanted to draw. I never had to resort to that so I decided that 3 months in was as good a time as any to just open it up and play around. I’ve never owned a spirograph set so this was sort of new to me. I had a pretty good idea of what it would be like and it didn’t surprise me too much. I didn’t spend much time with the instructions, opting to just dive in and learn as I go. The first things I noticed was that it’s very easy to mess up. This makes you want to go slowly and carefully, but then, the pens shipped with the set will bleed, again messing up your spirograph. There isn’t any easy solution to this problem with what’s in the box and it can get pretty frustrating. I did try using the set with other pens and paper. The issue with using other pens is that the holes where you put the pen is fairly large. So, many pens, especially technical pens, will have a lot of wiggle room. This causes all sorts of problems. They’ll cause inconsistencies in the spirals and may even cause the wheel to lift away from the paper and guides. The set included one metal wheel. It is much less prone to some of common issues, especially jumping off the track. It’s weight makes it want to lay flat more than the light plastic ones do. There is a full-metal anniversary set which I ended up buying as well. I’ll review that soon. I couldn’t find another pen that didn’t suffer from other issues. Yet the pens they include aren’t very satisfying in color or precision. The best solution I found was to just point a technical pen straight down and be very careful. But even that wasn’t perfect. I plan to experiment more with other pens and solutions in the future. I think putting something around the nib of a technical pen could solve the problem. Moving to other paper was generally very helpful. There’re many other papers that bleed less than what’s included in the box. So, I’d say use their paper to learn how to use the set and then move on to better paper to avoid bleeding. Marker paper, Bristol, and even watercolor paper all seem great. There were a few problems I had with the instructions when I did try to use them. One small complaint is that the instructions include a lot of examples but not a lot of theory. For example, I couldn’t find any explanation of how to do simple calculations for the spirals that would come out of a combination of wheel and ring. Yet, they gave examples for many combinations. These calculations are simple math and could easily be included somewhere in the fairly long instruction book. A bigger complaint is that the instructions can easily be confusing. I didn't go through the instructions in order. Since the instructions are long and I didn’t want to do every example I decided to pick and choose which spirographs I wanted to make. When I attempted one of the somewhat complex ones near the back I found the instructions unclear. They assume that you would have done some of the earlier ones. I don’t think it would have been too hard to write clearer instructions or at least refer you to the necessary information. Overall, I had some fun playing with this set but I found myself getting frustrated much more than I expected I would. For me art is about relaxing and not about frustration. I think a lot of my frustrations could have been alleviated if the pieces were higher quality (one even came broken) and the instructions were more thorough. I think there is room for someone to make a higher quality precision spirograph set. I did find one called Wild Gears. But, I feel the price for that one may be a little too steep and while the pieces do look higher quality I’m not convinced enough of the issues would be solved. When I started my YouTube channel I didn't really have a lot of gear or a great location for recording. My first episode was shot with my old iPhone 5S using a cheap little bendy phone holder I ordered. I used a fairly bright desk lamp to light it. At that time we also decided to get a FujiFilm X-T2. We had been eyeing it for a while and the possibility for using it for YouTube videos pushed us over the fence. We already had lenses and an old X-Pro1 but we wanted a newer, faster, and more powerful camera for getting baby photos and videos. I got some stuff to rig it up over my desk and used that for a while. A month or two later I decided I wanted to record my drawing because I thought it would be more fun to watch. The X-T2 is great for short videos but it has some quirks and a relatively short time limit on recording. It's not ideal for shooting long videos like drawing for hours. I decided to swing for a second camera, the Sony FDRAX53. It's a Handycam that shoots 4k. It has no problematic time limit and with a large memory card (e.g. 256gb) can shoot for hours and hours. This is aided by the fact that it can be powered easily by DC in. The Handycam is also much lighter than the X-T2 so it feels a lot safer to rig it up over my drawing. Having two cameras lets me easily get constant footage of my drawing as well as have a second camera to get B-Roll and contextual shots. At the time that I got the Handycam I also moved from my cramped office out to the garage. My garage was mostly unused and had a crafting table already set up. I ordered some fill lights to help get more light on my drawings because I felt my drawings were showing up a little dim. In the end I ended up setting up a really bright work light that I'd had around but wasn't using. It's so bright that it removes the need for the extra fill lights. That frees them up for other more creative uses. I also had some lower powered fill lights that I ended up hanging on my wall to get side-lighting when I record dialog to the camera. I also have some tripods and fixtures. Some of it I've had for a while and some I got along with the cameras to rig it up. I use a little mini rig to clamp the Handycam to a shelf above my desk. Then for other shots I use a mix of gear. I have an old Gitzo tripod and a Sirui video monopod I've had for a while. I also have a Manfrotto Pixi. I use a few Manfrotto heads because their quick release system makes it easy to move things around. For sound I started with a couple Zoom H1s but they were annoying me because they chew through batteries. I switched to using a Rode VideoMicro and am super happy with it so far. I use Adobe Premier Pro to make my videos. I'll go into more depth about my video-making process in the future after I get more experience. The photos for my progress are usually taken with a Sony Rx100 m2. I'd love to get the mark V as another option when recording but can't justify it right now. That's pretty much it. Soon, I'll do in depth reviews of a few things that I think deserve more discussion. Over the last week I started experimenting with drawing on origami. It hasn't been turning out how I envisioned for a few reasons. I'm no origami wizard. I have made some of the basics like cranes in the past but I'm struggling a lot with these complex Geometrical forms. The folds are simple but the building is a pain. After the first one, I decided to start using little scrapbook glue dots to keep them together. Also I'm not sure exactly how to get the art onto the origami. If you fold it first, you struggle to draw around the folds. If you draw first, you struggle to fold it just right for the drawing. If you built first, it's hard to get support behind it. Plus, if you use cheap flimsy origami paper like I did the paper doesn't take being drawn on very well. It also doesn't take being manhandled into origami very well. I'll continue trying this out from time to time but it takes a while to make the forms so I don't have the time to do it regularly. 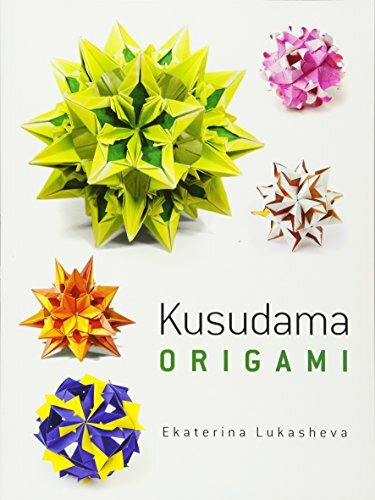 I think you could draw on other kinds of origami too but I wanted to see some cool geometric monstrosities. If you decide to give this a shot, please share pictures. I'd love to see what you make. What I’ve learned from 3 months of drawing and YouTubing. I’ve been drawing everyday and working on a YouTube channel about my journey for just over three months now. I’ve learned a lot during this project so far. I’m a lot more confident in my drawing and video-making. Here are five major observations I’ve made about new endeavors. 1. You always start new endeavors with applicable skills. You always know something that will be useful. We build up knowledge and none of it stands alone. This means that, with enough time and dedication, anyone can learn to do anything (assuming no physical or health barrier). Now, that doesn’t mean you’ll be great. Yet, if greatness is your goal you probably need to check your priorities. Greatness is determined by the world, not you. It’s timing and relevance at the perfect moment. You have little control over that. But you can become proficient at pretty much anything. Which means you can find some use for those skills. Which brings me to the second point. 2. You always end new endeavors with new applicable skills. Any skill you develop can be used in future endeavors. If you learn to make videos and draw, for example, there’s a million ways you can apply those skills. You can use them internally at a company just for improved communication or you can get into marketing, filmmaking, design, etc. Your imagination is your only limit of how you can apply new skills. When I started this project I didn’t know if I’d get anything useful out of it. Now I know there’s no way I won’t get anything useful out of it. As long as I keep learning, it can be used elsewhere. I love the idea of being an enabler but the reality is no-one may ever see my content. Or, my content may be mediocre for too long and I’ll have to move on. So I may never succeed at that but my skills will find new life elsewhere if that happens. Everything you learn contributes to your larger understanding and view of the world. The brain is really good at this. If you’re paying attention and connecting your learning to your world you will find applicable lessons. 3. Identifying and facing fears is a critical development skill. Humans are loaded with fear. It’s one of our basic instincts. It’s impossible to get rid of fear completely. Some of these fears are rational, like being afraid of car accidents because they’re so common. Others are irrational, like being afraid of putting your face in a YouTube video. Even a rational fear can become irrational if your reaction to the fear goes too far, like totally avoiding cars out of fear of an accident. Our irrational fears chain us down. Identifying them and breaking them is an essential self-development skill. Sometimes it’s hard to identify them. It requires internal honesty and reflection. Once you identify these fears, you may need to actually face them directly, like talking to a camera and putting it on YouTube. This is the kind of thing people mean when they say you should push yourself out of your comfort zone. You identify irrational fears that are chaining you down and you do the thing you’re afraid of. 4. Control over your beliefs is a critical development skill. Motivation is all about believing the right things and setting your priorities straight to get yourself moving forward. It’s easy to think that anything you do will fail. Odds are, it’ll fail to some degree. But we learn through failure and so we need to fail. Choosing to see that and believe it lets you start moving forward. It’s hard to convince yourself that failures, especially big ones, can be good. They feel so bad. Success is a gauntlet of unending, but usually shrinking, failures. There’re so many ways that your beliefs can lead you astray. For example, believing that success is based on luck can imply that you can just do enough to get by, hang out and wait, and success might just magically find you. Any luck involved in success requires being present for it to strike. You have to actually put in work, get through the failures, and then the size of your success might be determined by luck. I have a range of success metrics for this project, the basic ones are all learning goals that are totally within my control. While I’ll hit many failures getting there, in the end I’ll succeed. As for making any money, that’s a slightly different story. Another example is believing that success is determined by talent. Much like luck, believing in talent means you have little to no control over your success. It’s just self-defeating and for many things is flat out untrue. "Talent" is usually the result of months or years of unseen hard work. 5. Freedom to play is critical to development. If you don’t or can’t take the time to explore what you enjoy you may never find out. You need to give yourself the freedom to explore and play with different directions. In the back of my mind, I’ve wanted to learn to draw and paint since before college. But while trapped in the treadmill of college and then work I never felt free enough to explore this desire. After becoming a stay-at-home father, I was able to dive right in. I arguably had more time while working but it didn’t feel like it. I was stuck in a rat wheel of going to work, hating my job, then coming home and looking for a quick escape. That escape was usually Netflix or video games. So I could have learned but I didn’t see it as a direction that I could go. There’s “no money in it” and I didn’t see how it would help my career. These are mental cages, not real ones. I hope this gives you some insights that’ll help you consider new directions and freedoms for yourself. I was a quiet kid. So much so that people would comment on it. I never went out of my way to begin conversations. Growing up this way in school I was never really taught to communicate very well. We had to do only a handful of talks through my entire grade school experience. We were never given any mentoring or instruction on how to discuss ideas or to persuade and audience. Presumably if you elect to take public speaking classes, you will learn those things, but quiet people who may benefit from the experience the most are unlikely to elect to take those classes. Most of the writing in your life isn’t going to be academic writing. Most of the speaking in your life isn’t going to be public speaking or debates. You’re going to spend your life writing mostly emails, social media posts, and maybe blogs. You’re mostly going to be talking to friends, family, or colleagues. These are the things that school should talk about but they don’t. If you can have meaningful informal discussions you can surely have meaningful formal discussions. This didn’t change for me in college. I avoided any subjects or classes that required me to talk and while my writing got a little better, it was only academically. When I finally graduated and entered the workforce I found out that this was a problem. There came times where I wanted to discussion ideas, problems, or directions but struggled to do so. I realized I needed to improve my communication skills but didn’t know how. I decided to try to speak up more in meetings, write more emails, and take any opportunities that came to me to speak in front of groups. The problem was, in the workplace, a lot of opportunities didn’t come up. And I wanted to limit how much I spoke out of turn so I wouldn’t come across as that guy. Eventually my fiancé and I had a kid. We decided for various reasons (e.g. cost and trustability of childcare) it would be best for me to stay home with him. This was just over 6 months ago now. During that time I was looking for projects to work on. At first I was looking at various programming projects but I didn’t really have the proper time or motivation. Eventually I realized this could be an opportunity to develop other skills I was lacking. I decided to learn to draw and paint, something I’ve always wanted to do. I also decided to do it publicly. Meaning, I would blog and YouTube about the journey. I thought this would help other people who were struggling to start and I would be able to develop my communication skills. So far I think it’s working. There’s one thing you always encounter when you study photography, cinematography, painting, drawing, speaking, or writing. That thing is storytelling. So what I realized when starting this project was that I wanted to be a better storyteller. The brain doesn’t understand in a linear way but it builds that understanding in a linear way because time is linear and attention is limited. In order to learn and subsequently to teach the brain needs to be able to package and unpackaged linear information into knowledge. So our brain learns through stories. Not only our own stories, but other people’s stories. Being able to share our stories is the most important skill a person can develop. You can have the best ideas in the world but if you can’t share them, it doesn’t matter. The only way to get better at telling stories is to tell a lot of stories. You have to try, fail, and then try again. If you keep telling them, paying attention to your failures, and try to make them better, they will get better. Right now I’m focusing on learning to draw in perspective. The basics are pretty simple but there a lot of methods and little tricks that help you lay objects out. Beyond the basics of perspective like one, two, and three point, there’s mirroring objects and lines, creating grids, and dealing with circles and ellipses. Studying perspective techniques is kind of tedious but they are clearly extremely useful. It’s a lot like studying math. I enjoy that but I know others might not. But, then they probably wouldn’t be into creating art the relies on it. To figure some of those tricks out, I picked up Scott Robertson’s book How To Draw. I have his really old DVDs from Gnomon workshop but I wanted to have easier access to the information while I was drawing so I went ahead and bought the book. I really like clean and technical concept art. It’s one of the things that has always attracted me to drawing. I see concept art for games or movies and think, “man, I wish I could do that.” So now I’m trying to get there. I also really like clean and geometrical abstract art. I mean things like really complex mandalas, abstract perspective art, pattern art, and tons of other things like that. Luckily a lot of the skills that go into one also go into the other. Beyond knowing how to lay out a plane in perspective a lot of the tricks for getting proportion and position just right are based in geometry just like the tricks for getting patterns and mandalas just right.